One million meters on the wall in New Zealand is worthy achievement. With a to-date country-wide rollout of just 1.35 million smart end-points, EDMI’s share, more than 75% of all advanced smart meters deployed represents a supreme vote of confidence from the market. 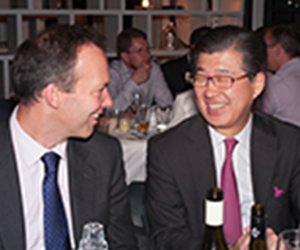 A veritable “Who’s Who” of the New Zealand industry joined Osaki and EDMI Board members at the event held in Wellington on 10 September. Key executives from major New Zealand Utilities, meter service providers and EDMI strategic partners discussed the future direction of the New Zealand market. EDMI Australasia Executive Director, Mr. Andrew Thomas, was keen to ensure the evening retained a New Zealand market focus. “We were mindful that the success of the night depended on it being not only planned as an inclusive, industry-wide event, but being perceived that way too,” said Mr. Thomas. The glittering list of speakers ensured that this would be the case. 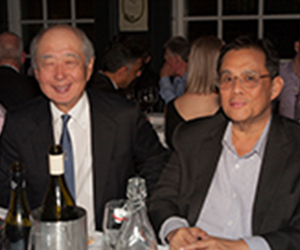 After Mr. Thomas started the evening with a short presentation and an address by Mr. Yoshihide Watanabe, Osaki Electric’s internationally respected Chairman and Chief Executive Officer, the room was addressed by a range of influential speakers from New Zealand industry and government, and a significant international smart meter evangelist. “New Zealand holds a well-earned reputation internationally as a leading light of soft-touch regulation and open and competitive markets. Their example is having a strong influence on the Australian market and, we believe, setting a positive example for the world,” said Mr. Thomas. “The event was a great opportunity too, to say thank you to our many partners, but particularly Vector-AMS who played such a significant part in the deployment. EDMI, as preferred suppliers of metering and metering solutions in New Zealand, are proud to have played our part in this success,” he said.